Thailand Condo for rent in “The Palm”, Naklua C7119. Three bedroom Condo in Wong Amat, Pattaya. Condo for Rent and Sale in Wong Amat, Pattaya.Condo - High floor, internal size 117 m sq, 3 bedrooms, 1 bathroom, fully furnished, fully fitted kitchen, TV, on Taxi routes, AC, washing machine, microwave, hob, gymnasium, close to local amenities, close to the beach, balcony/terrace, beautiful sea views, communal gardens, communal swimming pool, CCTV system, car park, 24hr Security. C011995 3 bed, 3 bath duplex Condo for rent Nova Mirage in Wong Amat..
A nice studio for rent in Wongamat. A nice studio near Wongamat Beach, Naklua, Pattaya. Fully furnished. Luxury 3 low rise buildings with lovely tropical pool and short distance to the beach. The Condo is close to all amenities, vast tourist area and fully facilities. Cable TV and Internet are extra cost. 1 bedroom Condo for sale rent in “City Garden”, Central Pattaya C5579. 1 Bedroom stylish unit for Sale/Rent. There are 2 units located on the 8 floors with beautiful city view. Both units are in Thai name and has decorated in style. The Condo offer you full facility, 24 hrs. security, close to all amenities. situated in East Pattaya, Viewing recommended. Rimhad Condo building A3,15floor,room 30sq.m,foreigner na. Large 1 bedroom for sale in Beachfront Project. This 1 bedroom is 60 sqm. the design of the place extend upward another half floor. Its can be an office or another spare bedroom as you wish, so the potential is there, The Condo itself offer you full facilities, close to the beach, communal pool, tennis court, good restaurants and bars are nearby. The transportation and market is close by as well. The unit is simple but furnished with many potential. 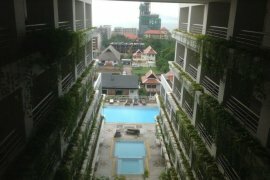 2 bedroom Condo for rent northpoint pattaya wongamat. One bedroom Condo in Pratumnak, Pattaya. Studio in Pattaya Hill Resort on the 6th floor,Sea view,40sq. High floor Pattaya Condo for rent in “The Palm Wongamat” C5111. C011696 Condo for rent at The Avenue Residence in Central Pattaya..
Condo for rentat The Avenue Residence in Central Pattaya. Thislovely 35 square meter, studio, 1 bathroom Condo is fully furnished and beautifully decorated. There is aEuropean kitchen, dining area and private balcony. The Avenue Residence provides full facilities, such as communal swimming pool, fitness, CCTV, car parking and security guards. Within walking distance to all Pattaya has to offer. 1 Bed 1 Bath in Jomtien for 1,850,000 THB PC6412. 1 Bedroom 1 Bathroom Condo For Rent in Pratumnak Pattaya. Private 2 Bedroom Condo for rent in Pratumnak Hill, Pattaya. RC11234. Hello, Please contact me, I am interested in condos for Rent in Pattaya. Best Regards. Thailand Property is Thailand’s leading online real estate rental resource, listing 9,492 affordable condos for rent in Pattaya. Save this search to receive emails when new condos for rent are listed in Pattaya. Rental properties in Pattaya are provided by Thailand’s top real estate professionals and private home owners. The average condos in Pattaya rental asking price was ฿ 27,623 on 1 Apr 2019 and the average size was 80.3 square meters with 1.2 bedrooms. Agents such as Supreme Real Estate Co., Ltd, Accom Asia Co.,Ltd and RE/MAX CondoDee can also help you speed up your condos search in Pattaya. You can also create your own rental listing by uploading your condos for rent for free in two easy steps - signing in and creating a property ad. In addition to rentals in Pattaya. Thailand Property also provides condos for sale in Pattaya should you like to compare availability.